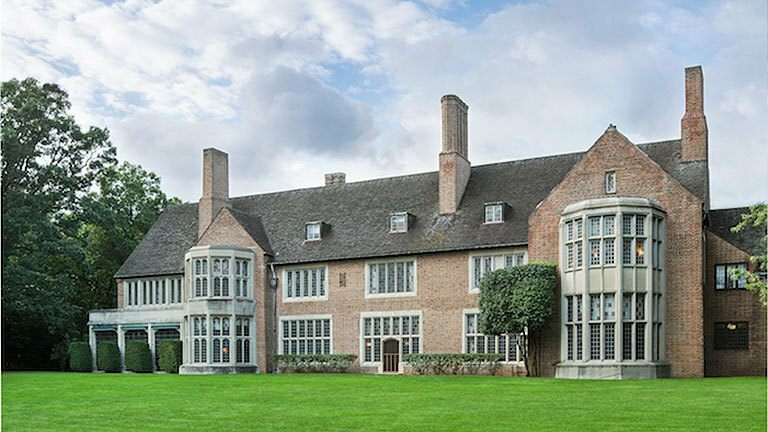 Join architect Peter Pennoyer and architectural historian Anne Walker, authors of Harrie T. Lindeberg and the American Country House, for a look at one of the early 20th Century’s most prominent, but largely forgotten, residential architects. At the turn of the twentieth century, opportunities were limitless and Lindeberg, a first generation American of Swedish descent, rose from humble beginnings to become one of the era’s most coveted practitioners. Working first with partner Lewis Colt Albro and then on his own, Lindeberg designed houses in Long Island, New Jersey, Connecticut, and Westchester. With each house, he continued to develop a recognizably personal and artistic style that, while traditional, expertly synthesized its diverse, inspirational sources. As his reputation grew, he was called to Houston, Texas; Lake Forest, Illinois; and Minneapolis, Minnesota, amongst other locales, by such prominent families as the Armours, Pillsburys, and van Beurens. In discussing Lindeberg’s signature style, Pennoyer and Walker will share photos of many of these stunning homes, as well as insight into the people who lived there. Peter Pennoyer founded Peter Pennoyer Architects, an award-winning firm recognized as a leader in classicism and historic preservation, in 1990. He is a member of Architectural Digest’s AD100, a trustee of the Morgan Library & Museum, President of the Whiting Foundation, and co-author, with Anne Walker, of five books on early twentieth-century American architectural practices. He is also the author of A House in the Country, written with his wife, interior decorator Katie Ridder. Peter has served as chairman and board member of the Institute of Classical Architecture & Art, and in 2014 he was elected to the College of Fellows of the American Institute of Architects. Members of the American Institute of Architects (AIA), please note that this lecture is worth 1 AIA LU. Copies of Harrie T. Lindeberg and the American Country House will be available for purchase after the lecture. Photo: © Harrie T. Lindeberg and the American Country House, Monacelli, 2017. Photo by Jonathan Wallen. The ICAA would like to thank Polart Group and John Desmond Builders for their generous sponsorship of this program. To register for an event hosted by the ICAA National Office, you can use the registration link noted on the program page, email [email protected], or call 212-730-9646 x105. ICAA Chapters manage event registration for their own events. While Chapter events may be listed on classicist.org, you should check the Chapter website, or contact the Chapter directly, for the most up-to-date details including dates, times, pricing, and information on how to register. To be added to the wait list for an event hosted by the ICAA National Office, please email [email protected], or call 212-730-9646 x105. For any questions related to ICAA Chapter events, please check the Chapter website, or contact the Chapter directly for the most up-to-date details including dates, times, and pricing.